I’m in the middle of planning 2nd grade for my littlest man. Blink. Second grade. I guess he’s right – I can’t call him a baby anymore. As I plan that 2nd grade year, I find myself going back to some of the same curriculum I used with my big kids (who are now in high school.) Curriculum that worked. 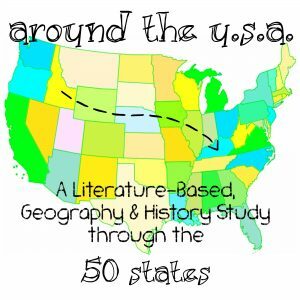 Curriculum that made a difference. Curriculum that held interest. Curriculum I like to call tried and true. With so many, many choices on the market, it can be easy to jump from one thing to another thinking the next new thing will be better. More learning. More fun. More whatever. Of course, I’ve switched things up here and there to meet different learning styles, interests or academic needs. But, the curricula I’ve listed below are products that I wouldn’t dare trade. These products have found a special place in our home and have been used with at least two (and usually all three) of my children at some point during the early elementary years. 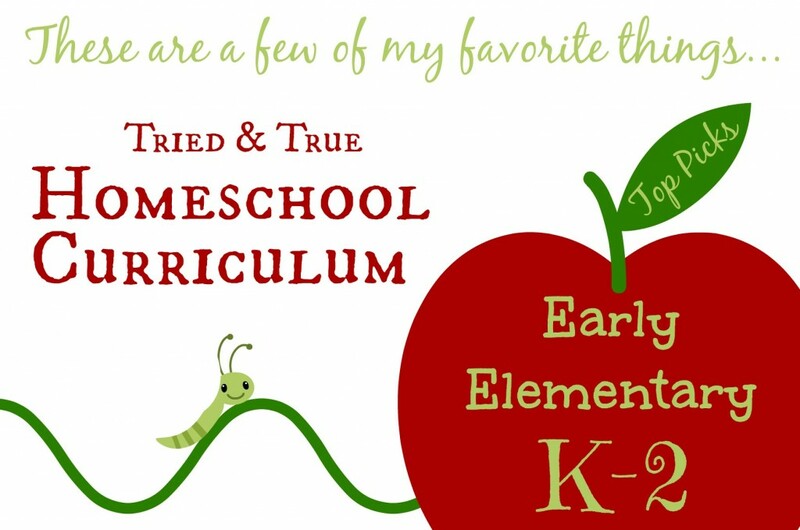 This isn’t an exhaustive list of the elementary homeschool curriculum I’ve used for K-2, but instead a best-of-the-best list. Don’t miss this part: Just because I highly recommend something, doesn’t mean it works with every child in every situation. Each of these products has worked in our home. I hope they work in yours, too, but never use anything just because someone else says it’s great. 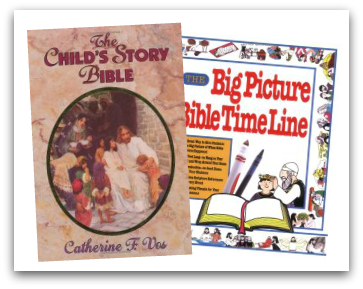 The Child’s Story Bible by Catherine Vos paired with The Big Picture Bible Time Line coloring book makes for a great early Bible curriculum. The chronological stories from the Bible are written for children, but don’t water down the Word with twaddle. 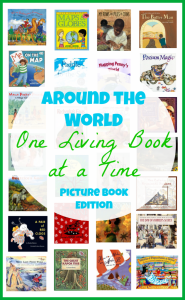 To help children make visual connections and to keep the stories fresh in their memories, copy pages from the timeline coloring book for them to color as you read. Hang the completed pictures on your schoolroom wall chronologically and let them stay there until the Bible is completed. This approach to Bible study could be used all the way through 5th grade. 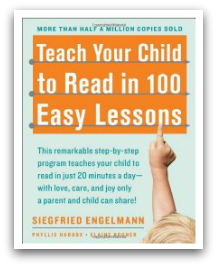 Teach Child Read 100 Easy Lessons is my favorite all-in-one curriculum choice for teaching children to read. The step-by-step, narrated lessons are easy for the parent and give children early success reading real words. At the end of the 100 lessons (completed at your own pace), children should be reading on a 2nd grade level. The stories can often be twaddle, but my children have found them engaging, nonetheless. The lessons are phonetically based and include mastery of sight words as well. 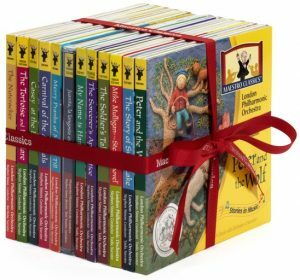 I’ve had success using this program as early as four-years-old, although not all my children were ready to read at that age. I’m a big believer in phonics instruction – helping children understand letter sounds in order to successfully read words, no matter how long they are. While I don’t necessarily advocate in-depth spelling instruction at an early age, All About Spelling is a program I whole-heartedly support. Why? 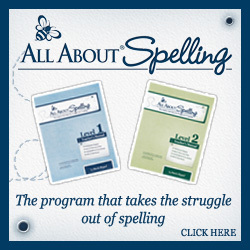 It teaches more than just spelling – it’s a thorough phonics program that will benefit both spelling and reading. The multi-sensory approach makes it appropriate for all learning styles, too. The rules learned during these early lessons have been carried through for many years of homeschooling success. 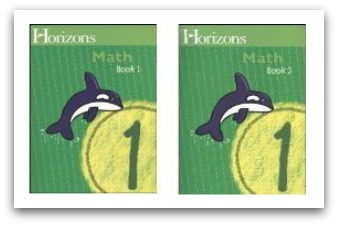 Horizons Math from Alpha Omega has been our go-to textbook math curriculum in the early years for two main reasons: the workbook pages are colorful and the lessons are short and sweet. You heard me right – colorful and short and sweet. Those reasons sound petty, don’t they? I’ve seen lots of early math curricula. Some expect way too much work from children on a daily basis. Some expect way too much prep from me. Others go overboard on manipulatives. And, some have such boring worksheet pages that even I don’t want to look at them. Since we only do textbook work about three days a week and include living math the other days (see below), I just wanted a program that was easy-to-implement, kept the attention of my children and gave just enough daily practice on important math skills. Horizons has been that curriculum for us. We use Horizons from Kindergarten through 3rd grade. 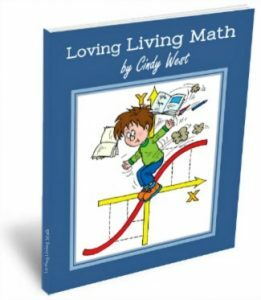 Loving Living Math is a book I wrote after years of doing “other stuff” for math a couple days a week and hearing question after question asking what exactly I was doing and why I was doing it. Most math textbooks don’t include enough real-world math, problem solving opportunities, logical/critical thinking practice or connections to other academic areas. These skills are important enough to me that we spend at least two days a week doing this “other stuff” in place of the workbooks. Loving Living Math teaches parents how to do that no matter the age of your children. I just mentioned early logic and critical thinking above. Most people are surprised to learn that I include logic lessons in our homeschool as early as preschool and kindergarten. Not only is it entirely possible to do so (especially with materials like those I’ve pictured above), but also super motivating for children. All of mine have begged for logic time. 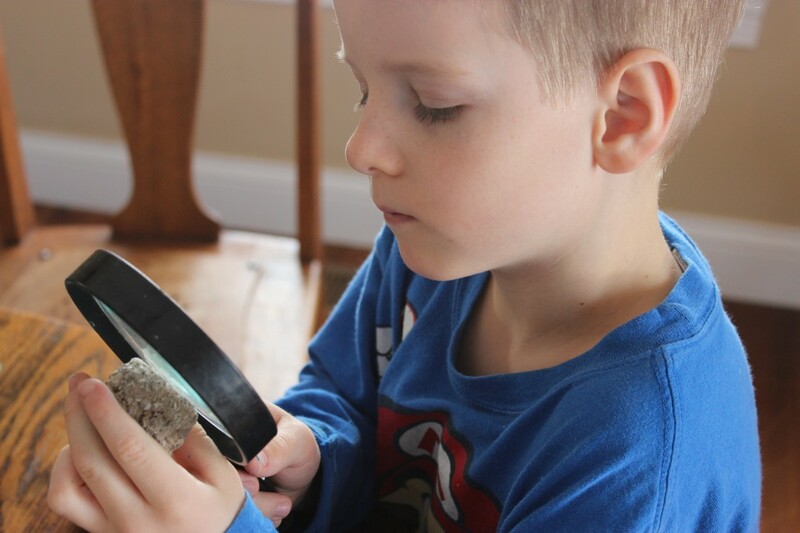 In the early years of homeschooling, a formal science curriculum isn’t necessary. We spend A LOT of time learning about science casually through living literature, simple science experiments and nature walks. 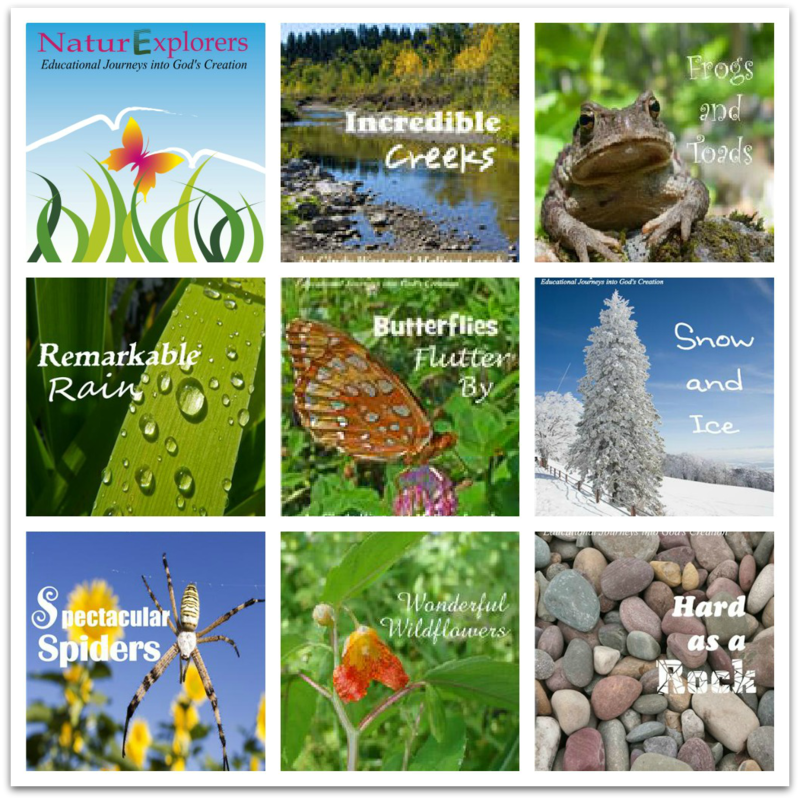 I wrote the NaturExplorers series (more than 20 topics) for children between the ages of 1st-8th grades. Not only can you find ideas for serious, in-depth nature study for your older children – you’ll find plenty of ideas for more casual nature walks that are perfect for K-2nd graders, too. Again, a formal program for history or geography isn’t necessary in the early grades. We simply spend time reading LOTS of living literature and mapping a little here and there when it seems to be appropriate. Believe me, it’s enough. How do I know? I pushed my firstborn hard in the early years. We did formal history and science curriculum beginning in K4. It didn’t damage her for life, however, we spent way too much time on school trying to fit it all in. And, over the years, she ended up repeating every single bit of information two and three times over through other studies. My boys have enjoyed a much more casual science and history time in the early years and have not been behind at all. Our art and music learning is very “free-range” at this age. Lots of art supplies and musical instruments are easily accessible for exploration and play. Various styles of music play in the background as we work around the house. And, we read lots and lots of living books about artists and composers. One thing that’s very worthwhile, especially for car rides, are the Maestro Classics CD’s. 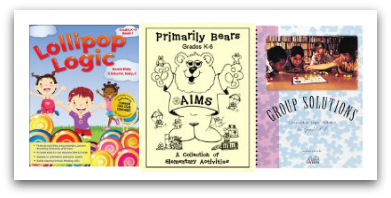 They are full of kid-friendly music, fun stories, and easy-to-understand musical explanations. This is a great article Cindy! Thanks for sharing your favorites and your insights. Really encouraging to hear your take on science and history! Thank you. 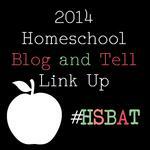 Thanks for stopping by The Homeschool Post and linking up. These are great lists! Very nicely organized. Thanks so much for sharing what you use and how it has been helpful. After your kids finished 100 easy lessons, did you use anything in particular to teach them the longer phonograms? Yes, I usually move right into some sort of phonics-based program – like Explode the Code, All About Spelling, or The Logic of English. I’ve listed those in order of a child who needs less phonics instruction to a child who needs more. Let me know what you go with!